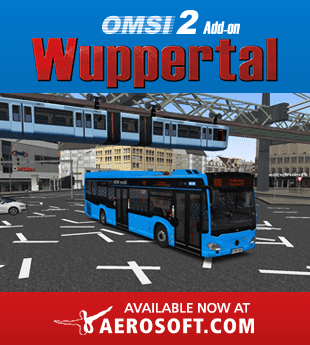 This modification was created for Ahlheim&Laurenzbach Updated (not for old version)! Line pack bring you some of old lines, for example 23 to Stadttor or "ALX" to Laurenzbach. Did you love lines ALX and 23 on Ahlheim&Laurenzbach? If your answer was "yes", you will love these modification too! These line were created as imitation of old lines. Attention! In the folder you can choose between two hof files. One have basic name (Ahheim&Laurenzbach_Updated) and one have new name (Ahlheim&Laurenzbach_Updated_TFC). Both hof files are same. Now you don´t have 2 hof files for 1 map in Vehicles :). Choose one from it. You can replace basic hof file OR add 2nd new. I also included timetables and stoptables in package. Thank you for the support! Enjoy! Line 23 have on two first tours from Laurenzbach, same departure from Banscheid Bf. as a short route of 23. That´s because I want to keep same cycle/takt. - Direct NE48 now stops on "Derenhofen Bahnhof"
- Direkt NE48 hält jetzt am "Derenhofen Bahnhof"
Download 2.1 instead of version 2.01. Download 2.01 instead of version 2.0. Beim AE ist mir grade aufgefallen das er in Laurenzbach um 17:07, in Derenhofen um 17:07 hält aber mann muss gleichzeigt auch um 17:07 in Allheim sein. Soll das so sei? thank you for the report. I released version 2.01 which repair line AE. You can download update now. Danke für den Bericht. Ich habe Version 2.01 veröffentlicht, die Linie AE repariert. Sie können das Update jetzt herunterladen. Super aber der Mod ist echt ne super Idee großes Lob geht raus!